Tokyo is a modern city sprawling in every direction with a resident population of approximately 12 million. It has exceptional public transport systems that are affordable, efficient and easy to use. A city that is always reinventing itself, with soaring skyscrapers in districts like Marunouchi, Ginza, Tsukiji, Roppongi and Shinjuku, which compete with each other for space. However, there are many parks and pockets of greenery. The cost of living is considered high compared to New Zealand, but seeking out reasonably priced restaurants, food and pubs is not difficult. When the time comes, BCD Sports will provide a handful of dining and entertainment recommendations. For those travelling on one of our supporter tours we will provide English / Japanese speaking guides and assistance with shopping, eating and transport. With such an efficient and easy to navigate public transport system, it is our intention to include train travel to and from the matches. In many instances, it will be much easier and more convenient to train in comparison to transferring by Coach. To make it easy, we will have staff from our Japanese Agent available to assist with the train travel if required. No one will be left on their own unless they wish to make their own way there and back. Easy to follow maps and instructions will be provided. Kyoto, only a few hours by bullet train from Tokyo, is one of the most popular destinations in Japan. The former hometown of the Emperor, Kyoto oozes old world charm, elegance and culture. Offering a slower pace to the hustle and bustle of big city life. Spend a few days here and you will undoubtedly be left wanting more. Some of the more famous sights in Kyoto include the Fushimi Inari-taisha shrine, dating back to 711 AD. This iconic pathway features hundreds of vibrant orange torii, traditional archways, and sits at the base of the Inari Mountain in the Fushimi ward of Kyoto. Spend an afternoon strolling along the winding path of the Arashiyama Bamboo Grove stretching from outside the North Gate of Tenryu-Ji to just below Okochi Sanso. Take the time to stop and marvel at Okochi Sanso, a lavish estate with stunning gardens and a breathtaking location. Gion is one of the main districts of Kyoto and worth a visit. You may meet some 'maiko' (apprentice geisha) young dancing entertainers, who walk in long hanging-sleeved kimono in the Gion district. See the townscape characterised with popular 19th century style latticework and visit the Nishijin where they weave traditional "Nishijin-ori" textiles with vividly coloured threads. Visit the Higashiyama area, the sightseeing centre of Kyoto, preserving a variety of architecture and gardens, as well as many cultural masterpieces. Kyoto Gosho is the former Imperial Palace located at the centre of Kyoto. The large luxurious Kyoto Gyoen National Gardens surrounding the palace is a relaxing spot with rich greenery. It is a public garden with pebbled promenades, green lawns and seasonal trees and flowers. 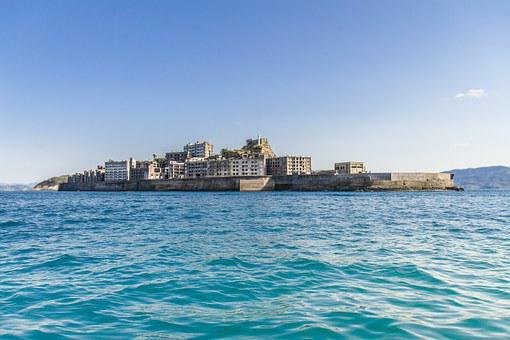 Japan's third largest city Osaka is a magnificent port city. Well known for it's modern architecture, energetic atmosphere and vibrant nightlife, Osaka is a wonderful part of Japan to explore. A must visit location for foodies, Osaka is well known for it's gastronomic contribution to Japanese culture. From Michelin star restaurants to street food there is something for every budget and palette, why not try some takoyaki - deep fried octopus balls - one of the more well known treats to come out of Osaka. If history is what you're after, be sure to visit Osaka-Jō, a castle erected in the late 16th century and surrounded by luxurious greenery and a large moat. The site of terrible devastation in 1945 Hiroshima has rebuilt day by day evolving into a peaceful, modern and lively municipality. Whilst in Hiroshima be sure to visit Peace Memorial Park and Peace Memorial Museum. Here you can visit the shell of the A-Bomb Dome, the closest surviving structure to the blasts centre before wandering through the Museum exhibits, covering the history of Hiroshima, the bombing and its outcome in human suffering. Alternatively, spend the afternoon venturing by tram and ferry to the beautiful island of Itsukushima best known for the picture perfect floating shrine in the bay. For those after a more vigorous activity you can follow the paths and hike to the summit of Mt. Misen, for those willing to break a sweat you will be rewarded with magnificent views. Be sure to keep an eye out on the paths for some of the local wildlife including monkeys and wild deer who live in the greenery surrounding the paths. Fukuoka is the largest city on Kyushu and the 9th largest in Japan. An interesting city offering a diverse mix of modern city with rich natural beauty. 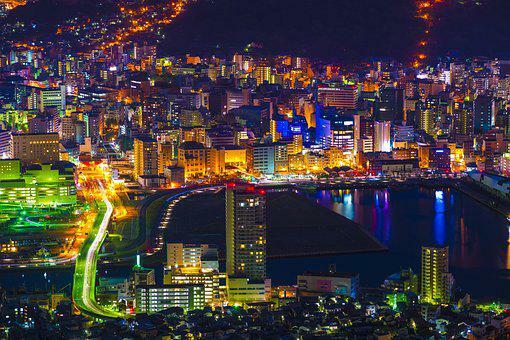 Fukuoka is also known as a gourmet city in Japan with fantastic dining experiences to suit all budgets. 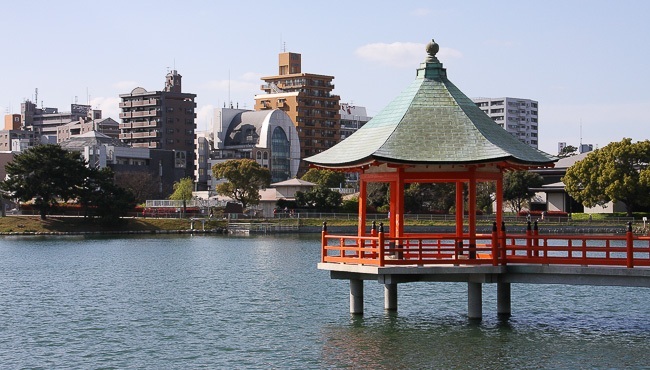 Venture to the open air food stands (Yatai), which are possibly the city's best known symbol. There are over 150 yatai scattered across Fukuoka but the best place to find them is on the southern end of Nakasu Island. 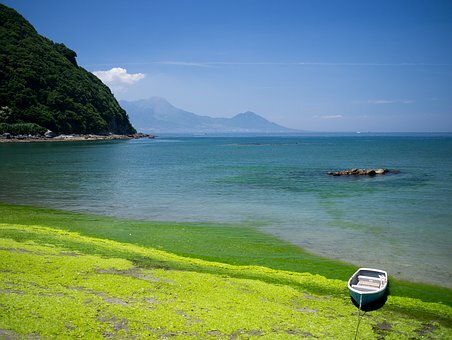 Located southwest of Japan’s main island of Honshu, Kyushu is Japan’s third largest island after Honshu and Hokkaido. However, it is actually relatively compact, taking around 3.5 hours to traverse its length by bullet train or around 5 hours by road. Steeped in Japanese mythology, Kyushu was an early centre of civilization in Japan and has been a handily placed gateway to Asia over the centuries. Today, visitors who venture south and get off the Japanese mainland are rewarded with historical, religious and cultural treasures and sites of ancient and awe-inspiring natural beauty sitting comfortably alongside modern cities and attractions. Coming by bullet train from Honshu, bright and breezy seaside city Fukuoka will be many people’s jumping off point for Kyushu. From here, it is 2 hours by express train to historic port city Nagasaki, which should be high up - if not top - on your Kyushu bucket list. From Fukuoka, the bullet train continues directly south to castle town Kumamoto and volcanic port town Kagoshima (from where the ferry departs for Yakushima). Or, follow the coast round clockwise by regular train to reach hot spring territory in Oita. At any point, you can also head deep inland to visit active volcano Mt. Aso. It will be autumn in September and October in Tokyo, Kyoto and Osaka. The locals regard it as an ideal time to visit when the city is past the exhausting heat of summer, yet prior to the coolness of winter. It will be very similar to our New Zealand autumn with temperatures ranging between 12c - 24c. Japan is known to have a bit of rain in autumn – just as we do. Towards the end of October, the trees will start to turn to a gold colour, which is a wonderful spectacle to behold. In Tokyo, where we will base most of our accommodation, there is a large selection of hotels ranging from 3-star budget through to 5-star luxury all in central locations. They are comparable to our New Zealand star ratings, but as with many of the larger cities around the world (Hong Kong, London, Paris) the room sizes in Tokyo are smaller than we are accustomed to. In fact, some rooms will be regarded as very small, but despite this, they have all the facilities you would expect and are very comfortable. Rest assured we did not consider the uniquely Tokyo options of Pod or Capsule Hotels although these are highly popular with locals who miss the last train home! English is spoken and understood in all of the hotels we are booking and the staff are very friendly and eager to provide the highest standards of service to guests, no matter its star rating. The stadia to be used for the tournament are located throughout Japan. From Oita to Tokyo, Fukuoka to Kobe the games are well spread across this beautiful country. The main stadia that New Zealand fans will be interested in is International Stadium Yokohama where our RWC 2019™ campaign kicks-off against South Africa and is also the same venue for both semi-finals and the final. Another key stadium for New Zealand is Tokyo Stadium where the quarter-finals will be played. Our other pool matches will be in Oita Stadium and City of Toyota Stadium.